Your website can be a powerful tool to support eCommerce web design with the WooCommerce for WordPress or VirtueMart for Joomla. Our eCommerce web design plug-ins are open to virtually any transaction between your customer and your company. Allowing your customers to pre-pay for a service online, purchase memberships, register for a paid event—all of these forms of eceCommerce open up the welcome wagon of online business for your company. We’ll turn your website into a powerful online transaction center complete with a fully functional catalog-based e-commerce system with coupon system and reporting. Its secure transaction-handling capability allows multiple payment methods, PCI compliant and SSL secure makes sure your customer’s data is safe and secure. Another great feature of all of our eCommerce websites is that they can connect to many of the most popular payment gateways available for eCommerce transactions. Some of these gateways are; PayPal, Authorize.net, Chase, Amazon and more. Another benefit of our eCommerce web site designs is that we are able to connect your eCommerce site to many of today’s most popular shipping companies such as FedEx and UPS. This enables you to leverage world class logistics for your eCommerce website. 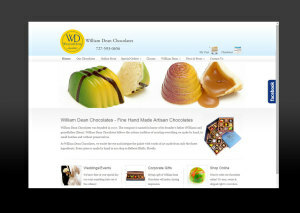 Your customers will also love the shopping cart web design. Our designs are meant to enhance your shopping experience from adding items to your cart to checking out the client experience is always easy and seamless. This allows for more transactions and a better overall sales than with traditional shopping carts. Give your customers convenience and security with your website’s eCommerce capabilities. 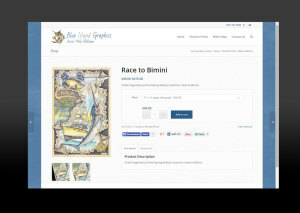 KDM will get your online store up and running in no time so that you can start reaping the benefits of those new sales.